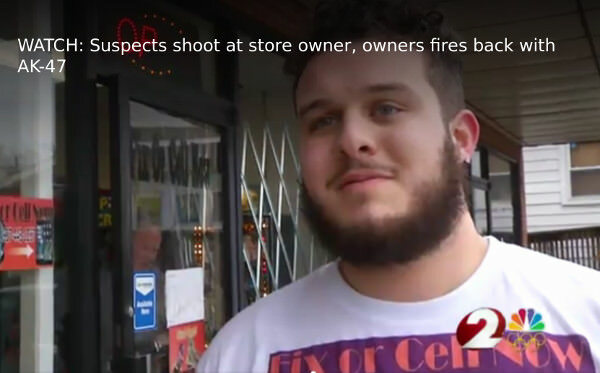 Dayton Ohio cell phone store owner Adam Seaton used an AK-47 clone to defend himself and his store. It happened about five a.m. on Sunday, 19 November, 2017. Store video shows the thieves breaking the window at the front of the store, then trying various strategies to get through the security gate. Seaton was alerted on his cell phone by the security system. He was only a block and a half away. DAYTON — A 22-year-old Dayton business owner fired an AK-47 at burglars breaking into his cell phone store early Sunday morning. Dayton police were dispatched to Fix or Cell Now at 619 Watervliet Street around 5:09 a.m. after the business owner called to report the attempted robbery. According to a police report, owner Adam Seaton was blocks away when he received a notification on his phone from the store's security system. As he arrived to the store, Seaton told Dayton police he saw two men running from the store. Seaton said one of the men then stopped, pulled out a gun, and pointed it in his direction. According to police, Seaton then grabbed an AK-47 from his passenger seat and fired at the men. Seaton told our breaking news team he believes one of his bullets hit a suspect, but he cannot be sure. The thieves fled in a silver truck. Seaton pursued them. He was on the phone to the dispatcher, who urged him, repeatedly, to pull back and let them go. It is discouraging to listen to the 911 call. Seaton is hyped up about the potential to catch the suspects. He expects immediate reinforcements from the police. Instead, he gets disbelief, discouragement, and not much of an immediate response. Link to audio 911 call of chase. Sometime during the chase, a suspect shoots at him again. He backs off. In one interview, he says it became too dangerous to continue the pursuit. The police have not caught any suspects as of the latest reports. A modern sporting rifle was used for self-defense. Semi-automatic rifles are rarely used in crimes. They are large and hard for criminals to conceal and to dispose of. The defensive uses of modern sporting rifles are under reported in the media. Most reporters do not know the technical aspects of firearms. In addition, details of defensive shootings may not be released until long after the event was considered news. Those who desire a disarmed population repeatedly claim that semi-automatic rifles like Seaton's AK, and other types of modern sporting rifles, are not useful for self defense. Adam Seaton thought he might have hit one of the suspects. If so, it is likely they will turn up at an area hospital. Wounded suspects almost always result in solved crimes. Modern sporting rifles are easy to use. They fire cartridges of adequate power that are easy to control. They offer sufficient magazine capacity to handle multiple suspects in a variety of situations. They are excellent tools for defense of self and property. The U.S. House Judiciary Committee has scheduled a full committee mark-up of H.R. 38, the Concealed Carry Reciprocity Act, this Wednesday! It’s therefore more important than ever to urge your member of Congress to support this crucial legislation. Concealed carry reciprocity is the NRA’s highest legislative priority in Congress. It would ensure that states recognize the concealed carry credentials of other states. This would end abuses in anti-gun states like New York and New Jersey and allow law-abiding concealed carriers to exercise their rights nationwide with peace of mind. Police say an off-duty sheriff's deputy shot and killed a man who had broken into her home in southwest Detroit. "We started seeing this black Acura coming towards us and it was smoking really bad," Alford said. "We were pulling over to get out of the way and he pulled in behind us, he jumped out of the car and jumped in the bed of the truck. And then my husband jumped out of the truck and held him at gunpoint until police officers pulled up," Alford said. Alford says she was frightened during the incident. Investigators said Beskid reportedly confronted the homeowner, 37-year-old Donnie Gayheart, and his girlfriend with a gun and flashlight as the couple was lying in bed. According to witnesses, an altercation ensued resulting in Beskid being shot and killed. Words can’t even describe my hunting experience yesterday. I was and hour over a vertical mountain before it got light. I got to the other side and was sneaking through the timber then suddenly I hear something to my left. I turned and it was a lion! No more than 5 yards away. Right when I turned she hissed and came at me. I killed her at 8 steps away from me. It’s One of the scariest things that’s ever happened to me. I took these mountains for granted. All the way down that mountain all I could think about is I was one moment away from never seeing my family and my 2 little girls again. I killed the lion at 7:34 A.M. then came all the way back down that mountain. I reported it to DOW, I showed them all the video evidence and gps coordinates and they said it was all legal. Unfortunately I wasn’t able to keep the lion. So after all that mess I went back to hunting around noon still shaking like a dog from the lion. I just kept recalling that lions hiss ten steps away it was like sneaking through the woods and stepping near a 120 pound rattlesnake. Anyways I shot up the mountain to one of my favorite spots and bam there was buck right when I got there. I didn’t count points I just knew he was big enough and POW he was dead. This all happened at 130. I couldn’t figure out what the hell happend!!!! A lion tried to kill me 6 hours ago, now here I am sitting next to the nicest buck I’ve killed. I’m very thankful for November 5th, I’m also thankful for DOW Matt I didn’t get his last name, and most importantly to be alive and enjoy my family and friends and be able to share this story with them and you!! All I can say is watch out, I thought I was the hunter and I was being hunted. I’ve never felt fear like a lion coming at me and killing it 8 steps away. She was aged at 4 or 5 years. My buck was 26” wide and 203 pounds dressed. Dylan is obviously an experienced, competent hunter, as confirmed by his success with mule deer and elk. The big cat was a 120 lb female. A hundred and twenty pound cat is a deadly threat. The videos that Dylan took at the scene make it clear what happened. A lion coming at you from less than 20 feet away is not a lion that is avoiding humans. The videos and pictures taken at the scene also so the power of digital media as a way to protect your freedom. Digital recorders are becoming as important to your Constitutional rights as the access to arms protected by the Second Amendment. "It was an attempted robbery by the juvenile," Carpenter said. The officer, who was not wearing his police uniform, was shot in the torso but his wounds were not life-threatening. He was treated at a hospital and released. The boy died at the scene. Their identities were not immediately released. No one else was injured. A man who was shot and killed in New Albany, Indiana, the day before Thanksgiving was awaiting trial for conspiracy to have his ex-wife killed. At the scene, they found the homeowner, David Chin, shot in the hand as well as McCane's body riddled with multiple gunshot wounds. The homeowner was taken to the University of Louisville Hospital and was expected to live. According to court records, Allen took a 9mm Ruger semi-automatic handgun and large knife concealed in a box to the victim's Lillian Drive home on Saturday. After the victim let Allen in, Allen brandished the gun and struggled with the victim, court records show. The victim was shot in the back trying to flee. The victim was able to retrieve his personal handgun and fire it once to stop the threat, sheriff's officials wrote in a sworn statement. Allen was hit in the left shoulder. Chief of Detectives Capt. Brad Blackburn said two men agreed to meet Kitchen to buy a phone from him over the internet but Kitchen tried to rob them. Instead, one of the men who is a valid concealed carry holder shot Kitchen. The St. Charles Police Department told FOX 2 they were called to an apartment complex around 5:45 p.m. after the suspect broke into the home while the man and two children were inside. The homeowner then shot and killed the man, who has not yet been identified by police. TEXARKANA -- A 19-year-old man shot and killed earlier this month during a home invasion had been free on bond regarding a firearms charge in Bowie County, Texas, at the time of his death. Shemar Davion Harris was fatally shot Nov. 2 by an 81-year-old man in Genoa who told investigators that being robbed six times in the past 10 months had prompted him to arm himself, according to earlier reports. Harris was facing a charge of theft of a firearm in Bowie County in connection with an Aug. 5 arrest at Academy Sports in Texarkana, Texas. "As soon as I got my hand on my pistol I turned towards the guy that had the gun at the back of my head. I immediately removed the pistol away from my head as I began firing at those guys," Borrego said. According to deputies, Borrego shot the boy twice, once in the chest and again in the leg. The four boys ran from the retired Marine's house to the home of the teen who was injured. His mother took him to a hospital, investigators said. He is expected to survive. "The first male stabs the second male," she said. The stabbed man responded by firing a gun at his attacker, Silva said. The stabbed man was taken to Memorial Hermann Hospital in stable condition. The man with the gunshot wound went to Ben Taub Hospital. His status was unknown, Silva said. When they arrived, they found a 26-year-old man suffering from a gunshot wound to the chest. He was taken to a local hospital where he was in "good condition" Friday. DOUGLASVILLE, Ga. -- A suspect shot during an armed robbery at a Chevron station on Wednesday evening has died. Douglasville Police said Saturday 19-year-old Jailateef Williams died Friday night at a local hospital after he received a gunshot wound to the head. PHOENIX - A man is dead after being shot by a woman after he reportedly forced his way into her home in what police say apparently was a robbery attempt. A Phoenix Police Department spokeswoman says witnesses reported that the Tuesday night incident began when the suspect grabbed the victim as she entered her residence in north Phoenix. The FBI confirmed Wednesday that a bank customer shot at a suspected bank robber on Tuesday outside the Los Alamos National Bank branch in White Rock. COLUMBUS -- Police said that a man who was being robbed grabbed the perpetrators gun and shot them Tuesday. Harris County deputies said the homeowner was approached from behind by four young men. One of them held a gun to the back of his head and tried to get him to go inside his home. They said the homeowner spun around, knocked the suspect's handgun away, pulled out his own gun and shot the teen robber several times. The suspect was taken to the hospital. There is no word on his condition. Two of the teens involved were caught running from the scene and taken into custody. Investigators said the homeowner will not face charges. A Private security guard detained two of the attackers as they ran away. He got their information, which he gave to deputies who then arrested them. DOUGLASVILLE, Ga. - A store clerk shot an armed robber at a Douglasville, Ga., Chevron gas station. Located at 6590 E. Broad St./Bankhead Highway, the store clerk called 911 and told the dispatcher that the suspect pointed a handgun at him. The store clerk retrieved his own gun and shot the suspect inside the convenience store. In both incidents, the perpetrators were on drugs that induced paranoia. Two separate weekend incidents saw men accused of burglary enter local homes and be held at gunpoint by residents. A day-long feud between roommates ended Sunday when the female victim's stepfather pulled his licensed pistol on the suspect in self-defense, according to Denton police spokesman Shane Kizer. The suspect, 31-year-old Chad Knapp, was taken to Denton City Jail on charges of assault causing bodily injury and deadly conduct. “I figured out that he’s trying to get credit card numbers so I kick on his door. So, he tried to scare me so I went back and I pulled the gun out from my pocket and just pointed it on him,” Patel said. He says the suspect started backing up the truck and then peeled out but he still got a license plate number and called 911. Lake County deputies say a Howey in the Hills officer stopped the truck about eight miles away. They say 43-year-old Lazaro Castro was arrested for use of a scanning device to defraud. FLORAL CITY (FOX 13) - A homeowner shot two intruders in Floral City, deputies said. On Monday, just before 2 p.m., the homeowner woke up from his afternoon nap when he heard at least one person entering his camper, according to Citrus County deputies. A “disturbance” then took place and the homeowner shot two people at the scene -- one inside the camper and another outside. A recent experience shows how problems can occur with guns and estates. I was involved in this. My involvement occurred 27 years ago. In 1990, an elderly relative wanted expert advice on obtaining a firearm. Her husband had recently died. She wanted to have a gun in the house, and wasn't comfortable with pistols. She was already frail and did not have much upper body strength. I recommended a .22 semi-auto, which she could keep handy. She could keep the chamber unloaded. It would be easy to charge and put into firing condition. The Brazilian copy of the Remington Nylon 66, made on Remington tooling in Brazil, was being imported to the United States. It was inexpensive, lightweight, and had a sterling reputation for reliability. She purchased it and, as I recall, we ran a few shots through it for familiarization. Fast forward 25 years. The elderly relative dies at the ripe age of 93. She had been living with her daughter in her declining years. The daughter, in an emotional state of trying to deal with all the changes after being the principle caregiver, discovers the rifle, parked on top of some furniture for a decade. The daughter was not a hoplophobe. She had been a competitive pistol shooter for a short time in college, 35 years ago. But the rifle, likely in its original box, and mint condition, presented another "problem" to be dealt with. Her solution: turn it in to the police. The officer gave her good advice. He told her it was worth money. She could sell it. He told her it would be destroyed. She did not want to "mess" with it any further. "Just take it", she implored the officer. 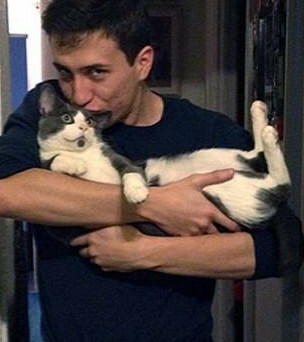 He reluctantly did so. Her sister, on learning of the gun turn in, was appalled. The daughter could have used the money, she said. I have heard of much worse horror stories. They usually involve a woman who inherits guns and ammunition, knows little about them or simply dislikes them. I have seen guns worth thousands of dollars turned in to be destroyed, simply because the person turning them in has been propagandized that "guns are bad" and does not wish to take any time to extract the easily retrieved value. A trip to the local gun store would usually result in 25-50 percent of the retail value. Gun stores will almost never buy ammunition. They fear liability for ammunition that has been out of their control. Gun shows are an alternative with a multitude of ready buyers. For extensive collections, a gun auction may result in the best returns. Nearly the same result can be obtained with the gun action sites online, such as Auction Arms and Gun Broker. They reach a large potential customer base, but require a bit more work to execute. Armslist offers another way to reach large numbers of potential buyers. Having a knowledgeable relative buy or sell the guns and ammo will be far better than turning them in to the police to be destroyed. The best way to avoid these problems is for the owner to make a will before hand. Another good approach is to make the transfer(s) before death. Significant numbers of gun owners give away their guns as they enter a period of physical decline. Many states have exemptions for the transfers of guns from an estate. If you have a relative or friend who is elderly and a gun owner, considering offering your help. You might do some good. SHIPPENSBURG - A Johnstown man was taken into custody after Shippensburg Police said he tried to enter another man's house, and the resident used a gun to subdue him. According to Sheriff Steven Mueller, the homeowner had mistakenly shot his brother through that door. The homeowner's brother was sent to the hospital, but deputies say his injuries do not appear to be life threatening. Early Saturday morning, police say a hunter in Winston County spotted the truck with the suspect inside the vehicle. Investigators say the hunter recognized the truck. 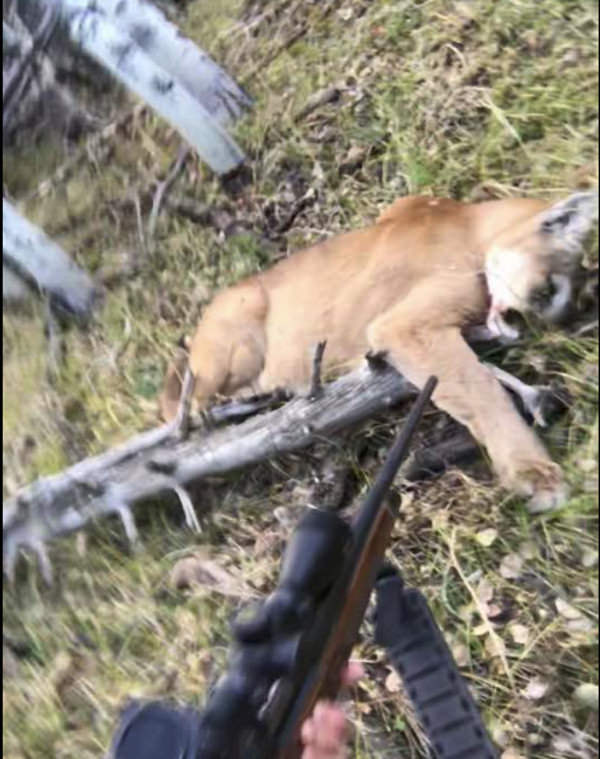 This is when the hunter held Lewter at gunpoint and notified Winston County authorities of the situation. Lewter was booked in the Lawrence County Jail on a theft of property charge, and he was also being held for a possible parole violation as of Saturday. Police thanked the hunter for his role in catching the suspect. Raquan Moore is the suspect in the shooting of Robert Earl Gun, 40, at 67 Ervin McNeil St about 9 p.m on Monday, 20 November. About 40 minutes later Raquan became the suspect in a burglary. The resident of the house shot Raquan, but is not facing charges. Authorities said Robert Earl Gunn, 40, of Lillington suffered four gunshot wounds and was transferred to WakeMed. He is in critical condition at this time, according to officials. About 40 minutes after arriving at the hospital, deputies received a call reporting a burglary and shooting at 100 Loraine Ln. in Lillington. The suspect, Raquan Moore, 21, of Lillington, had one gunshot wound, according to authorities. One of the men charged in the Sanilac County home invasion that happened Sunday morning hanged himself in jail, the Sanilac County Sheriff's Office said. Stephen Shimmel, 47, of Flint, was found hanging in the corner of his cell on Nov. 21, the sheriff's office said. Investigators believe Williams forcibly entered the residence and was shot when someone who lives there returned home and located Williams inside. The occupant of the home was not injured. A Bartow County pastor is not expected to face charges after he shot a home intruder in the head at his residence in Woodstock on Thursday. Euharlee Baptist Church pastor Keith Beck was the man who fired at the intruder, Donavan Simmons, 19, of Acworth, hitting him in the head. Simmons is in the hospital in stable condition, according to a Cherokee County Sheriff’s Office release Friday. A man and woman shot Thursday night in the 2200 block of Dallas Street are now suspects in a home invasion, police reported Friday afternoon. Officers responded to a 911 call about the shooting at 7:15 p.m. Thursday. They found a 16-year-old woman and a 16-year-old man who had been shot. Both were taken to the hospital with serious injuries, police reported. Woodstock, Georgia -- Investigators do not plan to file charges against a pastor who shot an intruder Thursday morning as the man was breaking into his house, authorities said. Cherokee County deputies responded to a call of a burglary in progress at the home on Santa Fe Trail at about 2:40 a.m. When deputies arrived, they located the suspect, identified as 19-year-old Donavan Simmons, in the backyard of the home with a gunshot wound to the head. A 62-year-old man fatally shot an intruder who broke into his Northeast Baltimore apartment and tried to rob him at knifepoint, Baltimore Police said. After the shooting, Oistad says the suspect called 9-1-1 immediately. And when officers arrived on scene, the employee was "cooperative" and taken into custody "without incident." Oistad adds that the victim is expected to survive his torso wound, but remains in the hospital currently. At this time, no charges have been filed, and APD continues to withhold suspect and victim identification. This is an ongoing investigation. The story will be updated when more details are provided. FAIRBANKS — The case against a 30-year-old Fairbanks man accused of shooting his neighbor in the back last year was dropped this week halfway through jury selection in Fairbanks Superior Court. 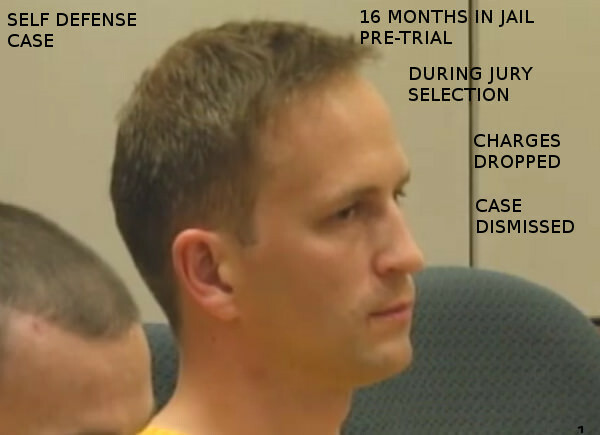 Assistant District Attorney David Buettner said he made the decision Tuesday morning after he spoke with his investigator and the victim during a break and concluded the state did not have sufficient evidence to disprove self-defense beyond a reasonable doubt. If Hannah had come up with bail, he would not have been in jail. Unfortunately, this type of case is not uncommon. You have to wonder just when the prosecutor knew that he had no case. Was this a case of punishment by process? Edward Bald heard the first rock shatter the window of a first-floor bedroom of his house on Quincy Street. He reached for the shotgun he keeps on the top bunk of his bed. "I sent a warning shot out the hole they already put in the window," said Bald, 61. "I hit one of them; I didn't know I actually hit him until I saw the blood in my backyard." Bald's shot late Friday morning hit a 12-year-old boy who suffered non-life-threatening injuries, according to Buffalo Police. SARASOTA, Fla. (WFLA) – A 42-year-old man was arrested Thursday night, accused of attacking an Uber driver who then shot him in self defense. The Sarasota County Sheriff’s Office arrested Geoffrey C. Ruscher for Assault and Battery Causing Bodily Harm. The resident, who didn't want to give his name, said he checked the vehicle on his property and saw the suspect underneath a blanket in the backseat, first becoming suspicious when he noticed the windows were fogged up. He said he pulled out his gun and got Quigley out of the vehicle, asking him to get on the ground. BRANDON TWP., Mich. (WJBK) - The manhunt is over. The Oakland County man wanted for shooting his ex-wife and her male friend inside his apartment is now in custody. Michael Quigley was found late this afternoon hiding out inside a vehicle on a Brandon Township man's driveway. That homeowner confronted him with a gun and made sure he wasn't going anywhere until police arrived. Investigators said that just after 3 a.m. Thursday a man entered a house located on Santa Fe Trail, just south of Georgia Highway 92 in Woodstock. Deputies said the pastor heard 19-year-old Donovan Simmons breaking his basement window to try to get into the home. That’s when investigators said the pastor went to investigate, found Simmons, and fired in self-defense. The business owner fired a warning shot with a shotgun and the suspects fled. Police did not locate them. On Tuesday night at around 11:30 p.m., the owner of KannaKare Health Services at 1502 Gold Ave. reported that someone attempted to break into the dispensary. The suspect or suspects took the screen off one window and broke glass. "I was just camping out," the store owner said. The store owner opened fire on the suspect. The suspect fired back but the owner was not hurt. The man then jumped the counter and ran out of the store. "I can't say nothing. I don't want to re-live that again," said the store owner. The suspect got away without any cash, and without his black hat. Investigators say the beanie cap was shot off the suspect's head and landed in a nearby trash can. 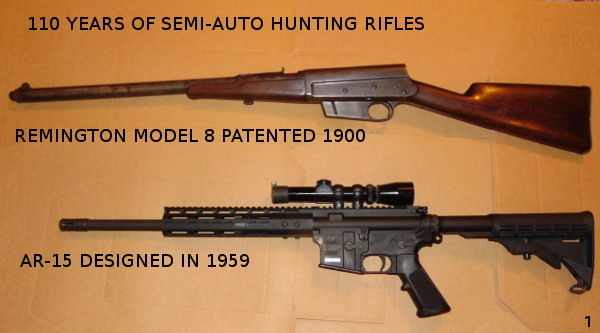 Semi-automatic rifles have been common in the hunting fields in the United States for a hundred and ten years and more. I picked up the Remington model 8 above at a gun show in Tucson a few years ago. The design has been popular for a long time. The rifle pictured was manufactured early in 1907. It was called the Remington Autoloading Repeating Rifle at the time. The Model 8 designation was applied in 1911. The rifle pictured was one of the first chambered in the .30 Remington caliber, Remington's ballistic equal to Winchester's .30-30. Unfortunately, the Remington model 8 does not have an easy way to mount an optical sight. It could be done, but it would be a custom job. Looking for a deer rifle for the woods of Wisconsin, I decided on an AR-15 clone chambered in .300 BLK. The ballistics are slightly less powerful than the time tested .30 Remington or .30-30. With modern bullets such as Barnes solid copper, expanding TTSX bullet, it is a perfectly adequate deer killer to 250 yards. With a 160 yard zero, you hold dead on to 200 yards. I put together the AR-15 clone this year, so there are 110 years of hunting rifles in the photograph. With modern materials the AR with Leupold scope weights 6 pounds, 12 ounces. The Remington model 8 with iron sights weighs 7 pounds, 14 ounces. Most of the weight difference is in the longer barrel of the Remington and the steel receiver. Both rifles have excellent reputations for reliability. The AR, especially with optics, has the advantage in accuracy. With the Barnes ammunition, 1 inch groups at 100 yards are common. For people with good eyes, the Remington's iron sights are perfectly adequate. In a recent test, five shots went into 1 inch at 40 yards. The price of the early Remington model 8 rifles was $58. It does not sound like much, but it was 2.9 ounces of gold at the time. It was sold as a high grade sporting arm. Today, you can buy a good AR-15 clone for $600. A decent scope will cost another $200. Together, they are only .4 ounces of gold today. The AR-15 type rifles are popular in the hunting fields today. The modular design, excellent ergonomics, and variety of calibers make it useful for game across the spectrum from varmints to elk. Another advantage of the AR-15 is the ease of use of suppressors. Reform of the archaic, complicated, and expensive federal laws on possession of firearm suppressors seems likely. Suppressors are commonly used around the world for hunting. In Europe, they are considered good manners. They are commonly found in the hunting fields in Africa. In New Zealand, they are available over the counter. Adding a suppressor to the AR-15 platform would increase the weight to about the same as the Remington model 8. I look forward to being able to hunt without wearing hearing protection. The potential was one of the reasons I decided on the AR-15 platform and the .300 BLK caliber. Another advantage of the .300 BLK on the AR-15 platform is its use by young hunters. The stock is easily adjusted. The weight is reasonable. The recoil is moderate. A small person can use the firearm much easier than the heavier, longer, non-adjustable model 8. I like the Model 8 Remington. Designed by John Moses Browning, it was a breakthrough for its time. It will be used in the hunting fields into the next century. But time, technology, and materials have all improved. From a purely utilitarian perspective, the AR platform is the better firearm. 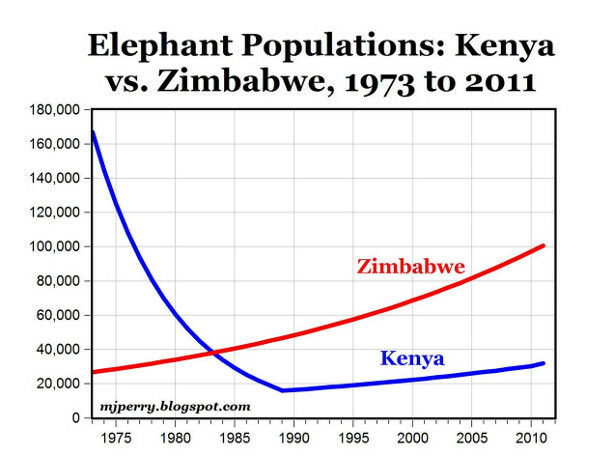 In the 1970s, Kenya had about six times as many elephants as Zimbabwe, and today Zimbabwe has three times more elephants than Kenya (see chart). What happened that caused the dramatic reversal in elephant populations in the two African countries? "Anti-hunting groups succeeded in getting Kenya to ban all hunting in 1977. Since then, its population of large wild animals has declined between 60 and 70 percent. The country’s elephant population declined from 167,000 in 1973 to just 16,000 in 1989. Poaching took its toll on elephants because of their damage to both cropland and people. Today Kenya wildlife officials boast a doubling of the country’s elephant population to 32,000, but nearly all are in protected national parks where poaching can be controlled. In sharp contrast to Kenya, consider what has happened in Zimbabwe. In 1989, results-oriented groups such as the World Wildlife Fund helped implement a program known as the Communal Areas Management Program for Indigenous Resources or CAMPFIRE. This approach devolves the rights to benefit from, dispose of, and manage natural resources to the local level, including the right to allow safari hunting. Community leaders with local knowledge about wildlife and its interface with humans help establish sustainable hunting quotas. Hunting then provides jobs for community members, compensation for crop and property damage, revenue to build schools, clinics, and water wells, and meat for villagers. OKLAHOMA CITY (KOKH) — Oklahoma City police are looking into a metro home invasion that resulted in a shooting. Police say a person returned to their home in the 1500 block of SW 45th St. to find burglars inside the house. The homeowner reportedly fired off a few shots before the burglars fled. The complaint said the homeowner got his gun and went looking for the intruder. When police arrived, the resident was aiming a pistol at 21-year-old Brandon Champe, who was on his knees with his hands on top of his head in the upstairs hallway, according to court papers. "I'm glad that he protected himself and used his gun when he had to," Richard Morgan, a neighbor, said. "And I think he kept us all safe. On August 25, 2015, a 27 year old man was fishing in the Snake River about 3/4 of a mile downstream from the Jackson Lake Dam, in the Grand Teton National Park. He heard a noise and turned to see three grizzly bears approaching him from behind, a sow and two cubs. 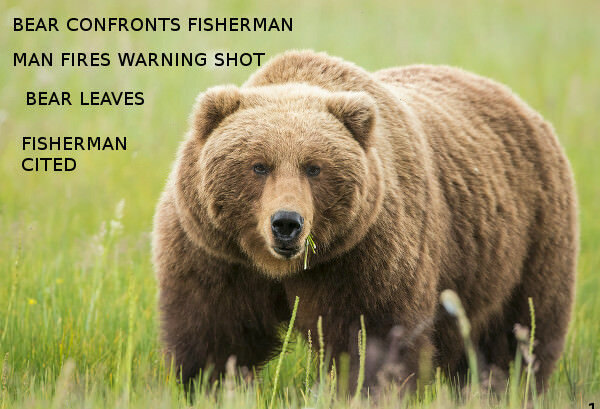 The fisherman was carrying a pistol and bear spray. The sow stood on its hind legs. He fired a shot into the ground near the bear. The three bears then left the area. The angler said that the bear spray could not be used in the incident. On Aug. 25 a Snake River fisherman in Grand Teton National Park scared off a grizzly by firing his handgun. The grizzly, which had two cubs, stood on its hind legs but did not charge before the Star Valley resident discharged his weapon, aiming toward the ground. (2) The possession of the firearm is in compliance with the law of the State in which the National Park System unit is located. The violation, as far as I can determine, is for (b) (1) (iii), Using a weapon, trap, or net. From chapter 36, Penalties shall be a fine or imprisonment up to six months. In 2014, the U.S. Attorney's office for Glacier National Park dismissed all charges against Brian D. Murphy in another grizzly bear self defense case. In that case, Murphy shot the bear with a .357 revolver after his bear spray failed to stop the bear's charge. The Missoulian reported that the penalty for discharging a firearm in the park was $500. I searched a year of sentencing records from the Yellowstone Justice Center, at Mammoth Hot Springs, Wyoming for any record of the case. I was unable to find any report the fit the grizzly/ fisherman pistol discharge event. Perhaps it was dismissed as well. A case that was dismissed would not show on the database. No name was given for the pistol and bear spray packing fisherman. The homeowner held Landry at gunpoint and tied him up until deputies arrived, officials with the Rankin County Sheriff's Office said. When deputies arrived, they said they found Landry had not only broken into the homeowner's workshop, but he had also gotten into several vehicles and stole tools. Investigators said a trail of stolen tools dropped in the woods led authorities to another burglary Thursday afternoon before his court appearance. Investigators later learned that Martinez and Mascarenas had ostensibly arrived at Taft Court to check out items that had been listed for sale on Craigslist. According to the First Judicial District DA's office, Mott invited the two men inside his residence — but after a brief discussion, Mascarenas bound his wrists and held a knife to his neck while swiping an array of valuables: wallets, purses and electronics. At that point, the pair moved on to their next target: Mott's SUV. But before they could spirit the ride away, Mott freed himself, grabbed his gun, headed to the front porch and yelled at the men to stop. Martinez is said to have reacted by producing a gun of his own, and Mott opened fire. The aforementioned crash followed. He said he armed himself with a .45 caliber pistol to investigate the noise and came face-to-face with Fillingim who was pouring lighter fluid on his floor and trying to light it multiple times. He said the lighter’s flames would die out before it reached the accelerant and he tried starting it again. Trammell said he retreated as Fillingim walked toward him until he backed into a threshold to another room and shot Fillingim once in the stomach. He said his family went to counseling as his children, who were in the home at the time of the shooting, also suffer from emotional distress. PA: Kevin Miller Cleared in Shooting of David Frankhouser, Jr.
Kevin A. Miller told authorities from the beginning that he shot David Frankhouser Jr. out of self-defense, believing the angry and drunken man coming at him in downtown Reading last summer had a gun and a knife. On Tuesday, a jury agreed, finding Miller not guilty of homicide and related charges. A picture taken by a witness appears to show the shooter standing up near the parked cars after the shooting. That witness says the shooter was pointing the gun at Pinckard's son at that point. But investigators say the facts in the case, point to self defense. "A third party joins in and someone's following you...they force you off the side of the road, they box you in, and force you to have to stop, if you take all of those facts into consideration...You as a reasonable person, would you feel that your life is in jeopardy in a situation like that?" Homeowner Derek Thomas tells WDRB he saw a man going through his truck, so he fired a shot into the air. Thomas then threatened to use his 150-pound dog named Tank to chase down the suspect if he tried to run. Many self defense shootings are not reported in the media. Many are not entered as justified homicides in the FBI Uniform Crime Reports (UCR). A self defense shooting, which included a justified homicide, occurred in the 800 block of Waugoo Avenue, in Oshkosh, Wisconsin,at night, on November 5th, 2017. The initial reporting did not include any indication this was a justified self defense shooting. OSHKOSH, Wis. - An 18-year-old Appleton man is dead after a shooting in Oshkosh. Police said a suspect is still at large. Police identified Cashmiere A.S. Hill as the victim. Nine days later, this report is made about the incident on Waugoo Avenue. There is no indication that the shooting was justified self defense. 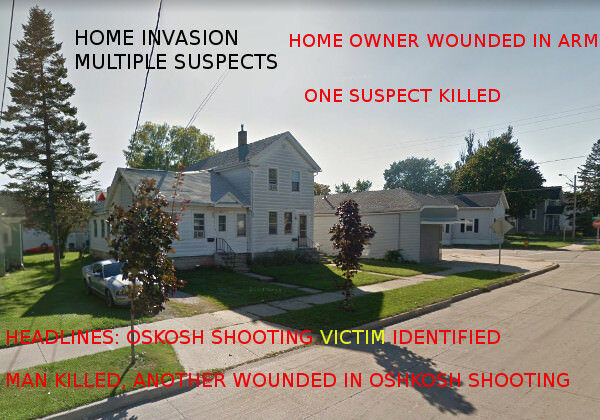 OSHKOSH, Wis. - Three men have been arrested in connectoSHion to an armed robbery that ended in the fatal shooting of a teenager in Oshkosh. Cashmiere A.S. Hill, 18, was killed in the shooting on Waugoo Avenue on November 5. According to a criminal complaint, several people planned to rob a man on the 800 block of Waugoo Avenue after he posted on Facebook about winning thousands of dollars at the casino. That group included Summers and Cashmiere Hill, 18, of Appleton. The man fought off the armed robbers once, but Hill then returned and the man shot at him in what he said was self-defense, court documents said. On the afternoon of 16 November, 50 miles away, in Green Bay, a reporter obtains the police report. WBAY gves a reasonably detailed account. An 18-year-old Appleton man was shot and killed by the target of a robbery at an apartment in Oshkosh, according to a criminal complaint obtained by Action 2 News. Tory Summers, 28, has been charged with Felony Murder in connection to the death of Cashmiere A.S. Hill. Summers is also charged with Armed Robbery and Burglary. On Nov. 5, Oshkosh Police were called to a report of a shooting in the 800 block of Waugoo Ave. Officers arrived on scene to find Cashmiere Hill on the sidewalk outside of an apartment complex. An investigator entered the apartment and found blood on the door to the entrance, handrails and steps. Police located the alleged target of the robbery, who had a gunshot wound on his right forearm. The man told police that he had been watching a movie in his living room when he heard glass breaking in his kitchen. He went to check it out and found a man trying to get into his home. It is a clear example of a self defense shooting. The victim was targeted in his home. He was subject to home invasion aimed at robbing him. There were multiple assailants. He was shot at and wounded while defending himself. He killed one of the home invaders. You would not know it from reading most of the coverage. Only the last headline hints the homicide was justified. One of the suspects has been charged with Felony Murder. There is no wording to indicate this was a home invasion. Is this self defense shooting going to be entered in the FBI Uniform Crime Reports as a justified homicide? Unlikely. A suspect is being charged with the homicide. There are no charges against the wounded victim. The news organizations depend on the police a great deal. The police have to investigate the situation. That takes time. The victim does not want to be identified and targeted. That leaves an information void for the media. That explains part of the problem. Why not this headline: Home Invasion, Defender Wounded, 1 Invader Killed? By November 16, the facts were known. A headline featuring self defense would have attracted many readers. The media are biased against self defense. The FBI UCR rules are biased against reporting justified homicides. Only 20% of justified homicides are recorded by the FBI. There is tremendous understatement of armed self defense in the United States. Negus DeSouza, 22, is charged with attempted robbery, assault, resisting arrest and criminal use and possession of a firearm. Police said the repairman was working outside the house on Rochester's northeast side when DeSouza approached. Police say an exchange of gunfire took place between DeSouza and the repairman, who they say is a registered gun owner. He went looking for his car and found it on Maple Avenue. According to police, as the man approached the car, the teenager behind the wheel pointed a gun at him, so the victim pulled his legal firearm at shot the teen in the jaw, police said. Mohammed Kahloon was struck as many as eight times in his left arm, according to his family. Kahloon is right-handed, and he always wears a pistol on the job. No customers were inside the store at the time and another employee sought safety in a back room. The shooting was recorded on the store's security video. Kahloon drew his gun and fired back, according to police, striking at least one of the suspects. He drove away, but only for a block, before he crashed his car. He was dead when police arrived. DAVIDSON COUNTY — A man was arrested Saturday after sheriff’s deputies say he broke into a house where the homeowner held him at gunpoint until officers arrived. During the mass murder on the morning of November 14th of 2017, he had two semi-automatic rifles that were homemade. 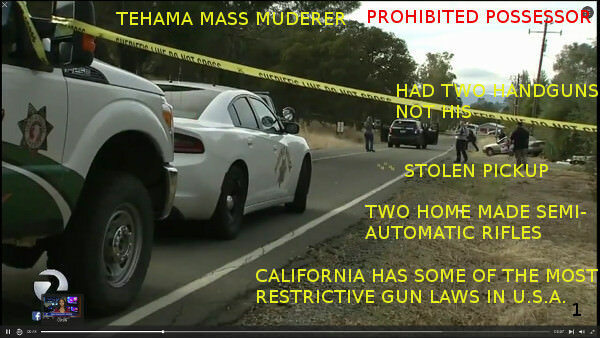 By making the guns himself, he evaded the purchase, registration and serial number requirements in California law. He possessed two pistols that were registered to another person. He stole the pickup truck he used to crash through the school gate and to transport him on his rampage. He asked why a neighbor had not stopped Hitler. In addition to the two rifles sheriff’s deputies found during the shooting investigation, Johnston said Neal also had two handguns registered to someone else. “The more restrictive that the laws become for people to purchase (guns), we’re going to see those criminal elements build their own. That’s what they do,” he said. Tehama County Assistant Sheriff Phil Johnston said Wednesday that police went to Neal's home several times for reports that he was shooting guns, but they never saw him with the weapons. During the rampage, Jessie Sanders, a neighbor, distracted the murderer at the school by yelling at him and challenging him to shoot "over here". Sanders was shot at and wounded when a bullet grazed his right forearm. "Hey, why don't you stop Hitler?" It is at 44 seconds into the video clip from ktvu.com. (The video is no longer available at the link). The Hitler statement occurred moments before this screenshot. Another victim was Jessie Sanders, who said Wednesday that he was at the school when the shooter opened fire. Sanders said he yelled at the gunman to shoot at him instead of the classrooms, and Neal turned and fired, grazing Sanders’ right forearm. 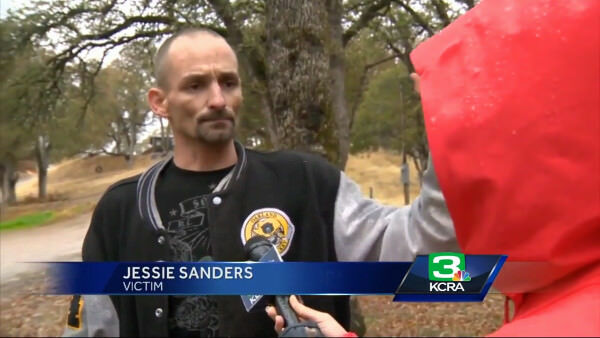 “That man smiled at me and started shooting at me,” Sanders said. “I got shot telling that guy to stop shooting at kids, shoot at me. Sanders estimated that the gunman fired at least 60 rounds at the school. Sanders was interviewed Wednesday on Bobcat Lane, where he was passing by Neal’s home with Hailey Suzanne Poland, who Neal had stabbed in the confrontation in January as she was out walking the neighborhood with Diana Lee Steel. The Hitler comment was likely edited out for brevity. The shooter clearly had mental problems. This may have been another sign of his illness. FLINT, MI - A shooting victim Saturday night in Flint managed to fire a shot back at his alleged assailant, according to police. The victim told police he was walking around 9 p.m. Nov. 11 in the 1500 block of Berrywood Lane, between Hargott Avenue and Crestbrook Lane, when he was approached by two males wearing dark clothing. Words were exchanged between the trio and one of the suspects pulled a handgun out and fired at the victim before fleeing in an unknown direction. Murphy stated he removed tape from a window and unlocked the door, according to the report, and used tools in the residence to turn on a breaker to charge a phone, although the report indicates the breaker box did not appear tampered with and the tools were relocated inside the home. The report states when the male homeowner, whose age was not immediately available, arrived at the residence and found the two suspects, he called 911 and held the pair at gunpoint until deputies arrived. Police said someone passing by saw a "suspicious interaction" in a vehicle that rocked back and forth. It was a dispute between a stepfather and stepson. The witness saw 30-year-old James Garcia stab his stepfather inside the vehicle. The witness, who had a concealed carry weapon, screamed at Garcia to stop. Garcia walked toward the witness, then returned to the car, where it appeared he would stab his stepfather again. The witness fired his gun at Garcia, hitting him in the stomach, stopping him, Metro said. LITTLETON, Colo. – A Littleton homeowner who shot and injured a suspected intruder who broke into his home Friday afternoon was an off-duty Denver Police Department Officer, sources confirmed to Denver7 Friday evening. 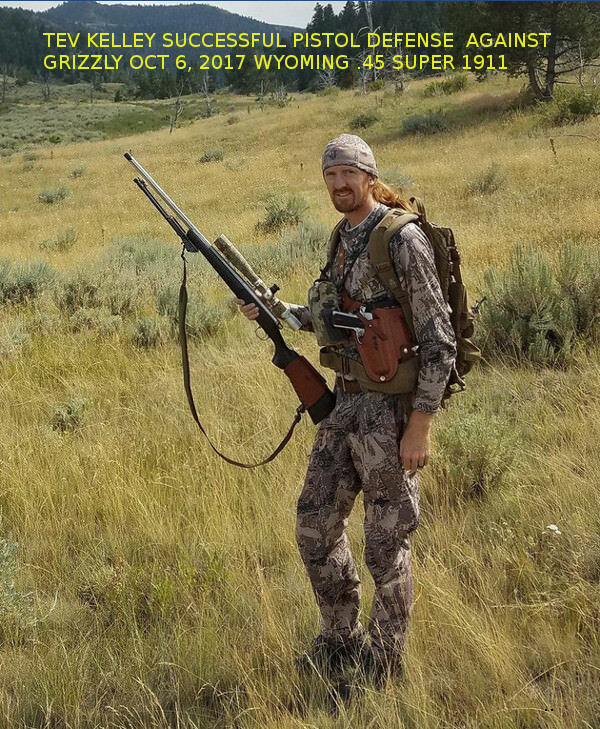 Tev Kelley, was accompanying a friend, hunting elk, in Wyoming on October 6th, 2017. His friend, Scott Smith, shot a nice bull from 327 yards, in a strong wind. Preparing to dress out the bull, they put their rifles a short distance uphill, to keep them from getting bloody. Then they started field dressing the animal. Fortunately, Scott heard a twig snap. He looked up, and saw the bear closing rapidly. He yelled "Bear, bear, bear!" Under the extreme pressure of a charge with about two seconds to react, Kelley thought only of survival when he yanked out the .45 handgun he wore on his hip and pulled the trigger. He did not even know where the shot hit the grizzly, in the head, face or neck, but it bled as it fell to the ground, rolled downhill and lay still. About 10 seconds later, the bear climbed to its feet, staggered in a semi-circle as if a drunk after last call and fled the scene as the men exhaled. This eye blink of an incident occurred midday on Oct. 6 in rugged hunting territory in the hills while Kelley and Scott Smith were field dressing the elk Smith shot. Tev Kelley used a 1911 .45 Super carried in a Ringler Custom Leather company holster. The .45 Super produces ballistics very close to the 10 mm magnum cartridge. 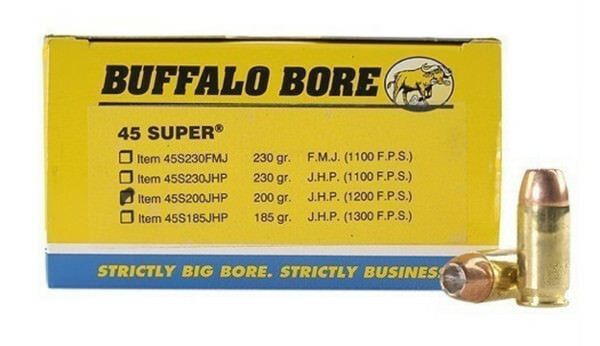 A Buffalo Bore 10 mm offering is a 180 grain bullet at 1350 F.P.S. (feet per second). You can see the .45 super is close, 5 grains heavier, and 50 fps slower for the 185 grain load. Below is a picture of the second bear the group of five, Tev Kelly, his father Ned, Scott Smith, Travis Crane (game warden) and Luke Ellsbury (biologist) had to hold at bay the next day, October 7th, 2017. Ellsbury was the one to fire warning shots this time. Fortunately, the second bear was deterred. Game and fish personnel searched for the bear that was shot. They followed the blood trail for some distance, but did not discover the bear. Kelley described it as "very fat". The hunters had not shot the bear a second time, because they believed they could be charged (pun intended) if they used more force than was necessary to stop the immediate, deadly threat. That may be true. It is the standard used in defense against humans. But a wounded bear is a threat to others. The law should be clarified. If a bear is wounded in a self - defense situation, it should be put down decisively. In African hunting of dangerous game, this is called "paying the insurance". Bears that are wounded in self defense cases, when found by officials later, are put down. It is too risky to allow a wounded bear to wander about. Game officials are well aware of this. A lawsuit was settled in Arizona, for 2.5 million dollars, after state game officials released a problem bear that attacked a teenage girl only hours later. The attack on Mount Lemon was stopped when a counselor with a .44 Magnum shot the bear twice. Kelley's point about delisting the grizzly bears in Wyoming deserves consideration. 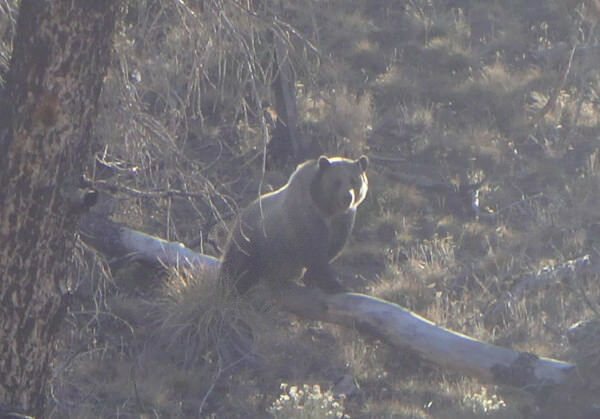 They bears have expanded their range far beyond the boundaries of Yellowstone Park. There are increasing interactions with humans. The bears should be placed under the management of state game officials, just as other major game species are. This case makes an even dozen documented cases I have found where pistols were used to successfully defend against bear attacks. I have been asking for documented cases where defense with a pistol failed. There are cases where people first used bear spray, which failed, and then were unable to access or use their pistols because the bear was on top of them. Those are not pistol failures. In other words, the proposals aren’t just difficult to enact in the current political climate; their practical effects would also be quite limited. On occasion, though, leading Democrats will make oblique reference to a more sweeping policy change: seizing a huge number of weapons from law-abiding citizens. At a New Hampshire forum in the fall of 2015, Democratic presidential candidate Hillary Clinton spoke approvingly of an Australian gun buyback program that collected more than 650,000 weapons — a buyback that, she neglected to mention, was compulsory. The logic of gun control lies, at bottom, in substantially reducing the number of deadly weapons on the street — and confiscation is far and away the most effective approach. Is there any conceivable turn of events in our politics that could make confiscation happen? And what would a mass seizure look like? Then the article goes on to praise the imposition of extreme restrictions on gun ownership in Australia, and to put forward claims that the restrictions "worked". Those claims are easily countered. That is not what we are dealing with here. Ultimately, the Globe admits that massive gun confiscation is not possible, at least now, at least not directly. 1. It is easy to support laws that do not cost *you* anything, which you perceive to be of any benefit to you. The vast majority of those supporting confiscation do not own guns. They see guns as a threat. They have no desire to own guns. They are perfectly happy to have guns confiscated because their property will not be confiscated. It is the same idea as supporting taxes on *other people*. 2. They see no benefit to gun ownership. Therefore, they see gun ownership as an irresponsible act in itself. They see the manufacture of guns as an irresponsible act in itself. The only things they see about guns are costs. With no benefits to the ownership of guns, they demonize gun owners and feel righteous about any harm that comes to gun owners. 3. They believe they can make gun owners pay all the administrative costs of gun confiscation, registration, inspections, storage, gun modifications etc. That is the plan used throughout the world. The payment for guns in the Australian scheme is unusual. Mostly guns are just taken. If the government passes a law requiring you to store your guns in a safe, the government requires you to buy a safe. They do not issue one. If the government spends 5 billion a year in gun registration administration, they charge gun owners for the cost. 4. They see no risk from a confiscation effort. Over and over, people who want confiscation say if there is any blood shed, it will be gun owner's blood, not their blood. They believe in a powerful, relentless state that will crush the opposition while they remain in their urban centers, safe and happy. They think gun owners will just passively wait for the gun confiscation police to come to their door, and only then offer resistance, if at all. 5. They do not believe the Second Amendment is legitimate. This is how they rationalize their opposition. Many believe the Constitution, as written, is not legitimate. 6. They are profoundly ignorant about guns, gun legislation, military history, and gun technology. They are often proud of this ignorance. Most of these beliefs are casually held, absorbed by osmosis, as it were, in an environment where they are assumed to be true and self evident. Second Amendment supports can easily counter these beliefs, which are rooted in false assumptions about reality. Persuasion is best accomplished without insults or other personal attacks. Second Amendment supporters will know they have won when they are the one receiving the insults and personal attacks. Here are simple, but powerful arguments to challenge those false assumptions. Guns have benefits. Use examples of guns saving lives. Cite John Lott's work. Gun Control has high costs and no benefits. Lots of Scholarship available. Steps below massive confiscation are futile. The only legitimate way to confiscate guns is to repeal the Second Amendment. 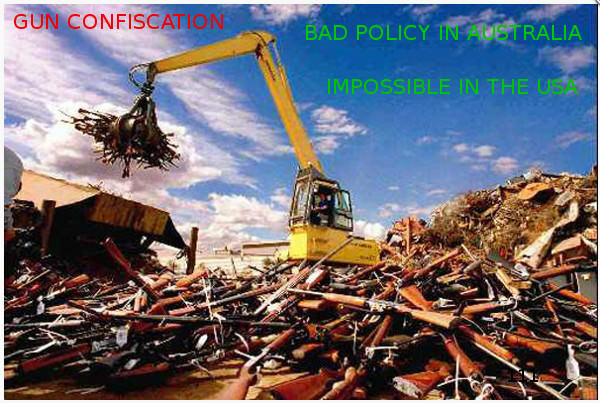 Confiscation risks a bloody civil war where everyone will be personally at risk. Second Amendment Supporters are motivated, trained, and do not share their belief structure. Take a non-shooter shooting. It shatters false assumptions. Police Lt. Matt Sears said the two people were meeting up for the purchase of a vehicle -- but at one point the seller brandished a gun and tried to rob the buyer. But, police said the buyer had a gun of their own and shot the seller. The alleged robber shot by a clerk in an August stickup at a Verizon Wireless store in Inver Grove Heights has been indicted in federal court. Jamaal Marquie Mays, 32, of Crystal, was charged last month with one count each of interference with commerce by robbery; using, carrying, brandishing and discharging a firearm during and in relation to a crime of violence; and being a felon in possession of a firearm. The clerk had another idea: He pulled his own gun from his waistband and fired three shots, hitting Mays twice and critically wounding him. Detectives believe Locke had broken into a home in the 300 block of Greenwood Avenue in Canon City when he was shot. The homeowner and a man were inside at the time of the break-in. They told officers that they had asked Locke to leave. Locke did not listen, so the man fired his pistol. WARDVILLE, La. (KALB) - We've learned new details about the shooting Sunday night in Wardville. The Rapides Parish Sheriff's Office told us that a person attempted to rob Lee Rays General Store, and the owner shot the person. The Wisconsin legislature continues to reform old hunting and gun laws. Most states do not impose a limit on the age at which people can start hunting. Wisconsin was one of those few. For millennium, hunters were started hunting when their parents thought they were mature enough to do so. Wisconsin has returned to that tradition. The reform allows parents to take their children hunting at ages less than 10. Children are individuals and highly variable. Some children will be responsible and capable of instruction at less than 10. Other children may remain irresponsible all of their lives. Parents are in a far better position to determine children's capacities than the government is. Gov. 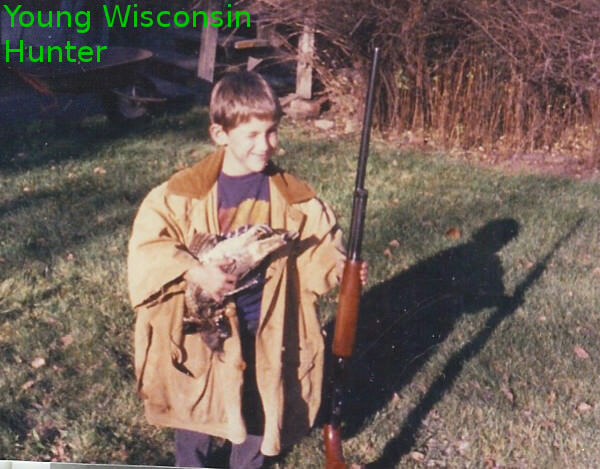 Scott Walker signed four sportsman bills Saturday, including Assembly Bill 455 , which will allow children of any age to hunt with guns. The bill also eliminates the current limit of one hunting device that a mentor and a mentee may have while hunting. Thirty-four states have no minimum hunting age, according to the Wisconsin Hunters' Rights Coalition. 10 Section 4. 29.592 (3) of the statutes is repealed. Responsibility is something that comes with practice. The more responsibility a child is given, the more responsible they become. In much of the United States, giving a child the responsibility to handle a firearm safely is a rite of passage. It does not happen instantaneously. Parents must observe and make judgments. Parents instruct their children first, or have a trusted family friend mentor them. The parent or friend accompany them on early hunts to insure safety. Only after they have shown themselves to be responsible, are they allowed to hunt alone. I learned gun handling and hunting from my Father, first by accompanying him while hunting, then hunting with my siblings and alone. Safety rules were drilled into me with clear discipline. Many young people have little opportunity to learn to hunt, because they live in urban environments. I introduce young people to hunting when I have the opportunity. If you have the chance, act as a mentor to a young hunter. Teaching someone to hunt is often more rewarding than hunting by yourself.